Although I went to Monash University (and technically I’m still there, just off-campus), I don’t know much at all about the Clayton area. Because as it turns out, they don’t teach pharmacy at the main Clayton campus; rather, we’re relegated to a small block of land in Parkville. So it was with some surprise that I found out, on my way to MODU for dinner, that Clayton actually boasts a huge Asian population, with an emphasis on Chinese students. Where there are students, there’s good, cheap food. And where there are Asian students, you’ll find the main street lined with one greasy spoon after another, dishing up plates of home-made dumplings and noodles for under a tenner. But MODU is not one of those. 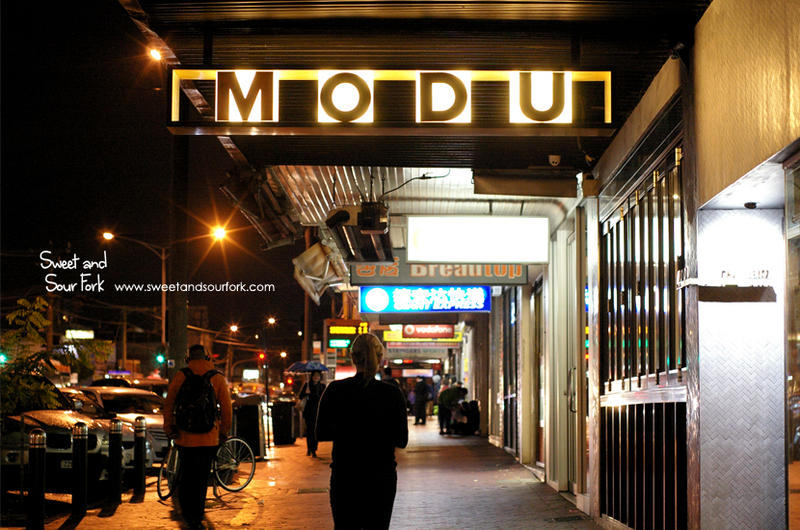 Recently renovated, MODU stands out a mile amongst the cheap and cheerful eateries lining Clayton Road. 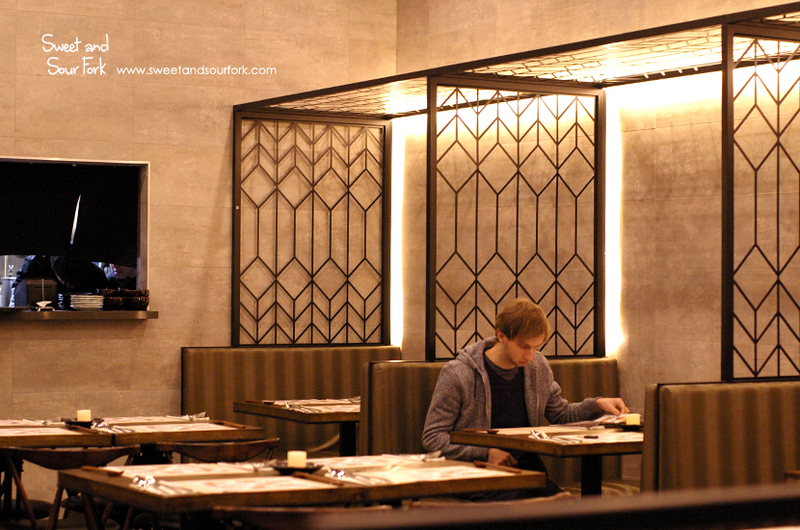 Not only is the interior stylishly comfortable, the menu isn’t your standard Chinese fare either. Although you will find some of the classics peppered here and there, a good portion of the offerings are dedicated to serving up dishes made with high-quality ingredients, and a bit of international flare. 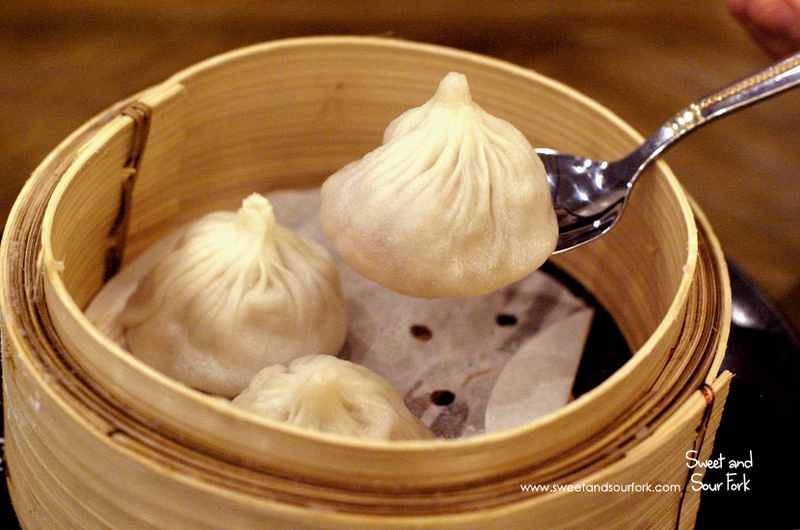 One of the classics on the menu is the perennial favourite of Xiao Long Bao ($4.9, 3pcs). They’re the real deal here, with a delicate skin holding a mouthful of fragrant broth, and it does very well for itself when dipped into a side of malt black vinegar. 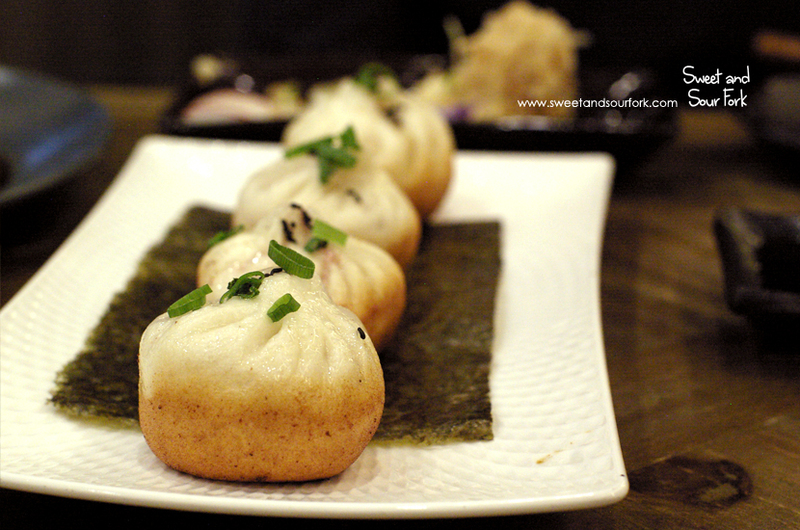 Another classic is the Steam-Fried Pork Bun ($6.9, 4pcs), which were once again done well, with a golden bottom, fluffy top, and a centre of flavoursome mince. A less traditional dish is the Golden Prawns ($9.8, 3pcs), which also happens to be one of the most popular items on the menu. It’s not hard to see why; the quality of the produce is evident here, and you can taste just how plump and sweet the prawns here, even through the crispy strands of spring roll skins. 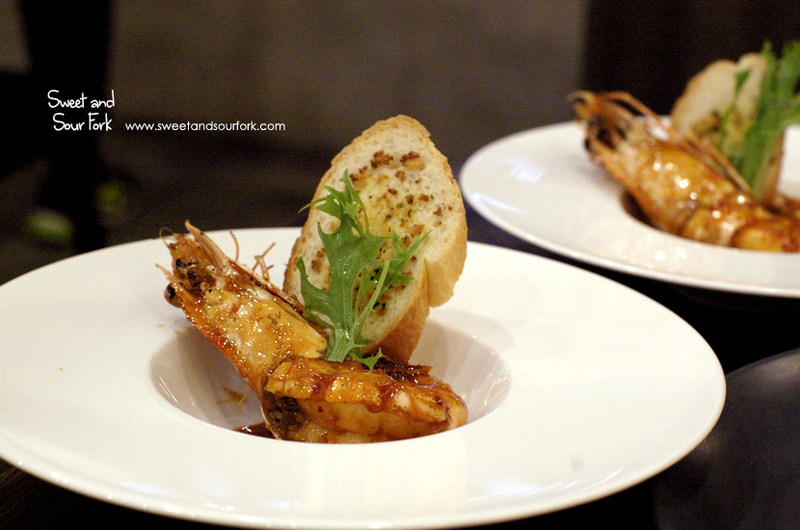 Another inventive prawn dish was the Crispy King Prawn ($9.8), served in a finger-lickingly good Singapore-styled sauce that’s simultaneously sweet and spicy, with a fragrant undertone of sambal. My only complaint? It needs to be served with a finger bowl so that I can dig right in with my hands! 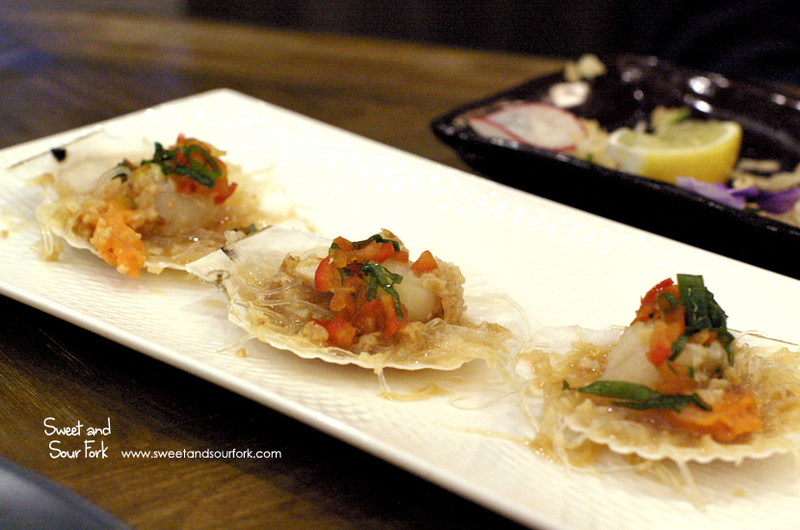 I’m a sucker for good scallops, and these tender Steamed Scallops ($11.8, 3pcs), cooked with vermicelli in an umami broth that’s rich with garlic, is a delicate and tasty rendition. 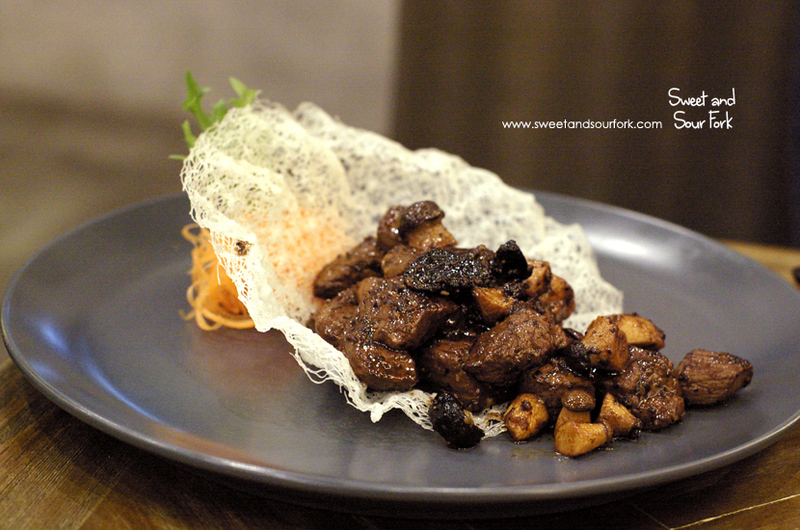 But without a doubt, the crowning jewel of our meal is the Wagyu Beef ($49.8, 250g), stir fried with mushrooms. It may be pricy, but the 8+ marble score of the beef is done justice. Each piece of beef was perfectly cooked so that every bite was juicy, and tender. It was seasoned with just enough cracked pepper and black garlic to bring out the rich, beefy flavours, without overwhelming them. 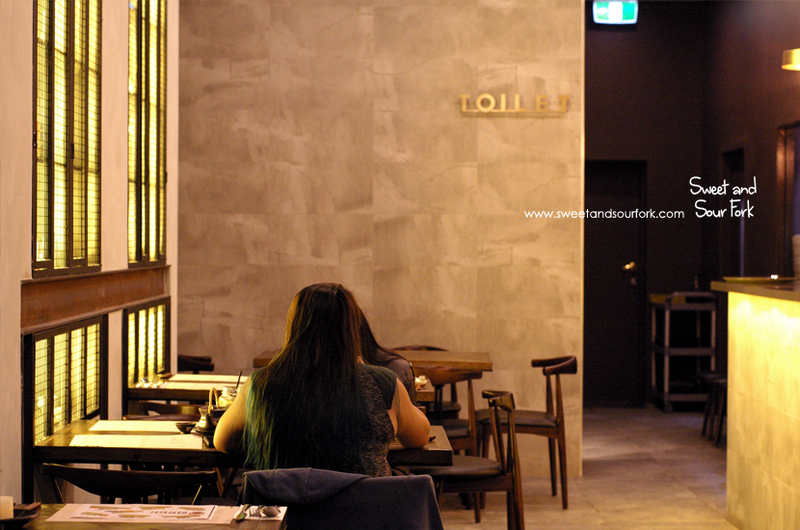 Compared to the surrounding restaurants, MODU is really quite special. 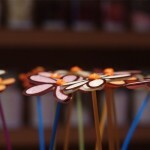 Although it comes with a slightly higher price tag, you’re definitely getting your money’s worth with the quality ingredients and refined flavours. And if you like eating Chinese food without feeling like a fat, greasy slob afterwards, then MODU will definitely be your bag. Rating: 14/20 – the kids can call you MODU. 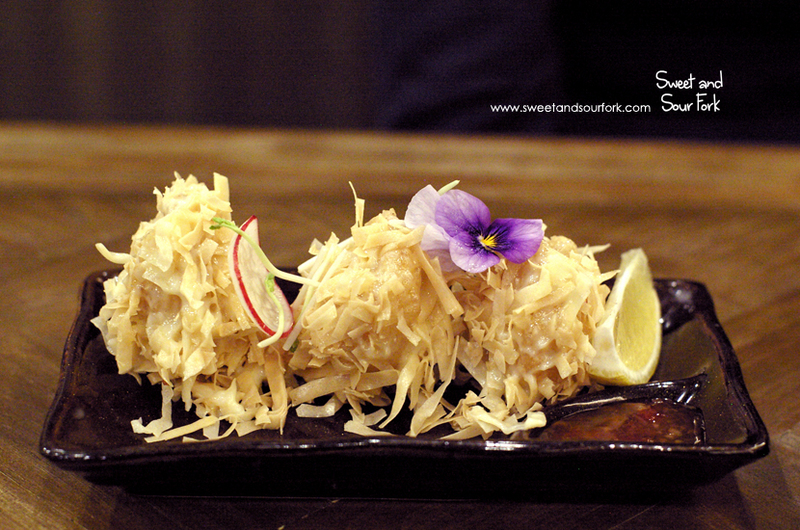 Sweet and Sour Fork dined as a guest of MODU. That explains so much! When I saw the name I wondered why they would name it that, but now it makes sense!